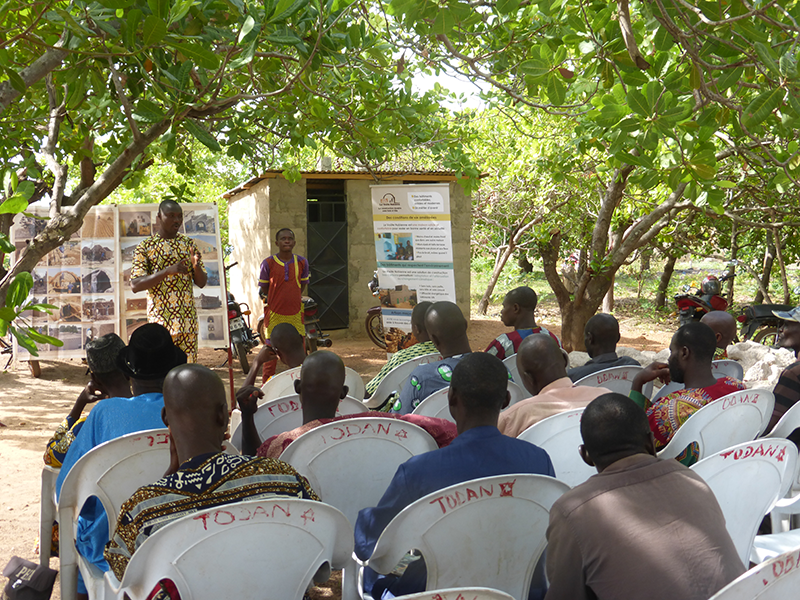 The communal union of cooperatives for seed producers. 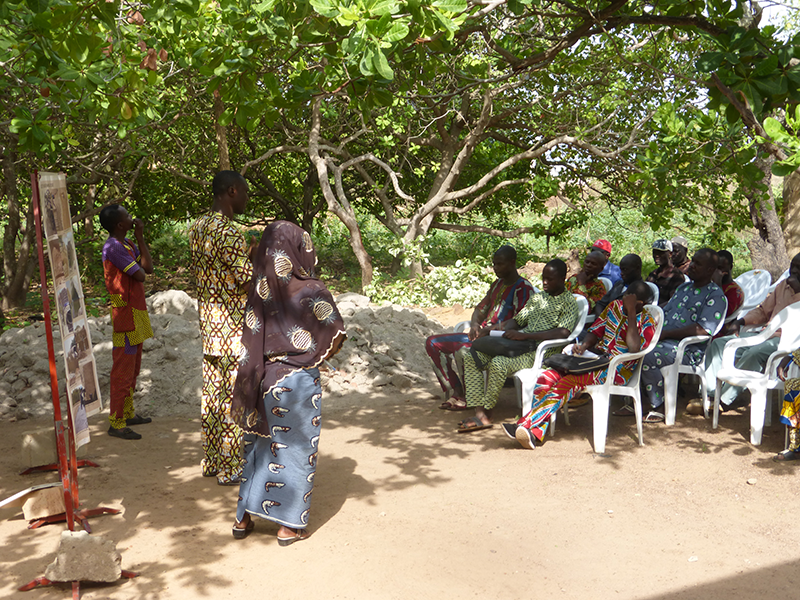 The aim of the meeting was to identify dynamic and interested Farmers’ Unions with a capacity to assist AVN in spreading the VN concept among their communities (the villagers that constitute AVN’s target population). 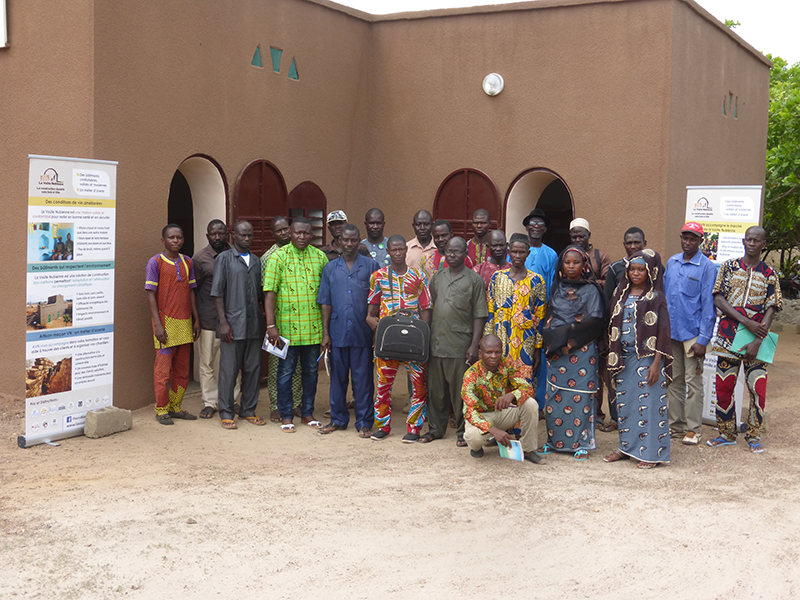 Ideas for collaboration were drafted with the rice producers from Djougou (URCPR-D), and with the cashew nut producers (UCCPA), who wish to build AVN structures for their offices. The Nubian Vault technique has been generally well received by farmer communities because it provides solutions to various rural issues (economical structures that are adapted to needs and uses, create job, and strengthen the local economy) and improves the yield and working conditions of those who use it. 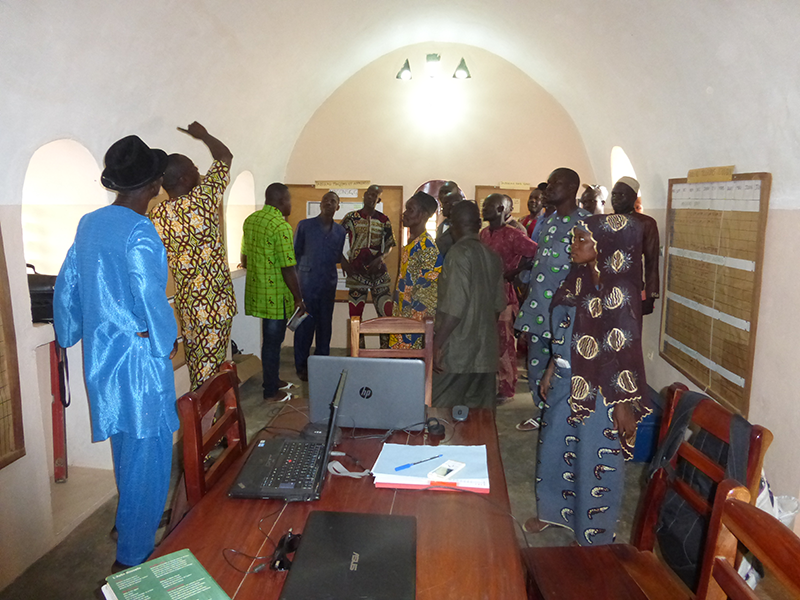 As an illustration, the meeting’s participants had the opportunity to visit the AVN offices in Djougou, a recently inaugurated model structure (read the news here). For AVN, the next step for the coming weeks will be to meet the board of each organization to develop already existing ideas and to imagine new ones.